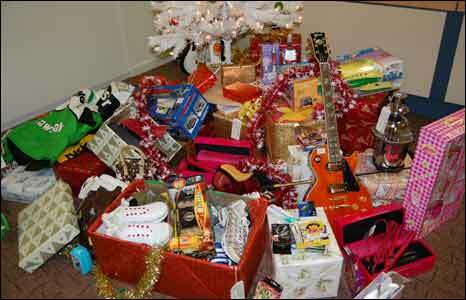 A host of potential Christmas gifts were collected under a tree by the Trading Standards Institute. All were either counterfeit, dangerous, or both. 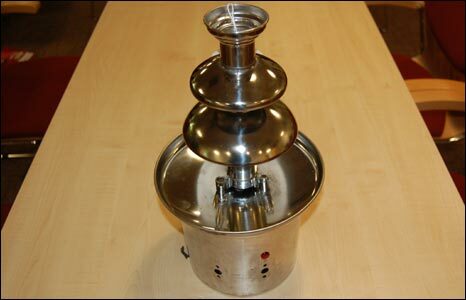 Things went sour for the buyer of this chocolate fountain after the melted chocolate seeped through onto the electrics. The biggest concerns are with children's toys. 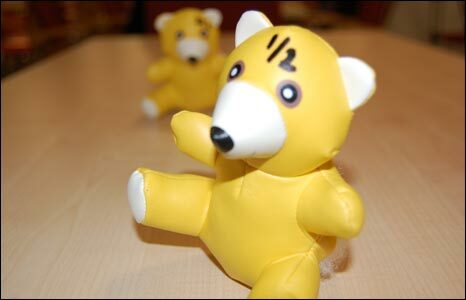 These bears are contaminated with lead and chromium. This scooter had a series of design faults, leaving sharp edges. 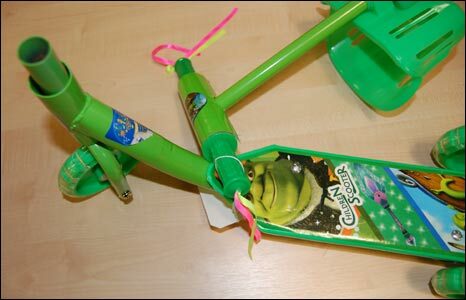 The handlebars also came off. 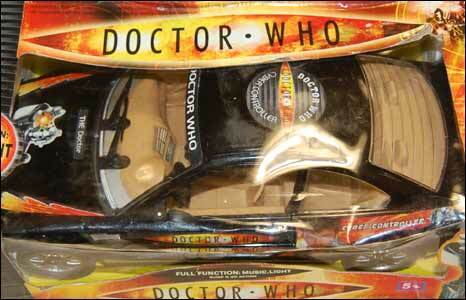 Doctor Who has made short work of many enemies but even he struggles to shake off the counterfeiters. This toy is a fake. 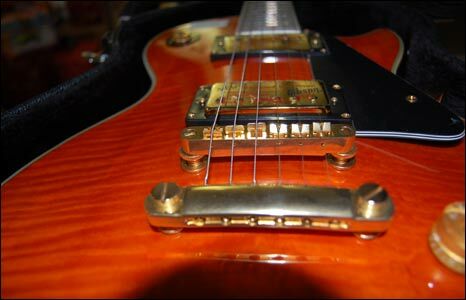 This Gibson guitar is also counterfeit, leaving even the best musician unable to create a decent sound on it. 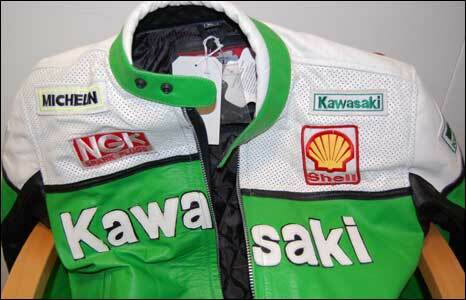 This fake biker's jacket was stuffed with flimsy foam, offering less protection to riders. There is nothing on the level with these hair straighteners that singed users' hair. 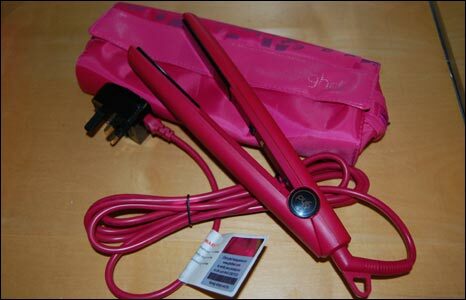 They were not made by GHD as claimed. 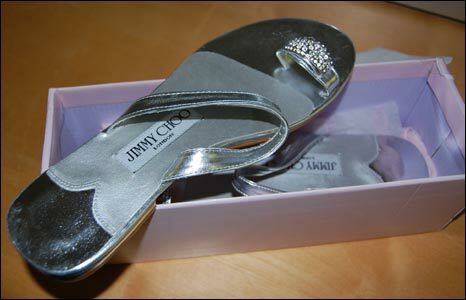 They might look like the real thing but these "Jimmy Choo" shoes are counterfeit, and were sold cheap on the internet. 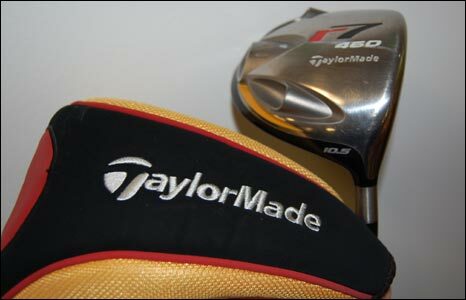 A bad golfer always blames his tools, but the complaint by the buyer of this club was justified - it was not a genuine Taylor Made product.